When you hear Massachusetts, what foods come to mind? For many people, the answer is probably chowder (pronounces chow-da in the New England accent, making it one of the most fun words to say!). Massachusetts is more than just the best place to find clam chowder, though! Some of the most delicious foods were invented in this beautiful state! Take a look at what Massachusetts has brought to the culinary world. Thank Massachusetts for these Delicious Foods! 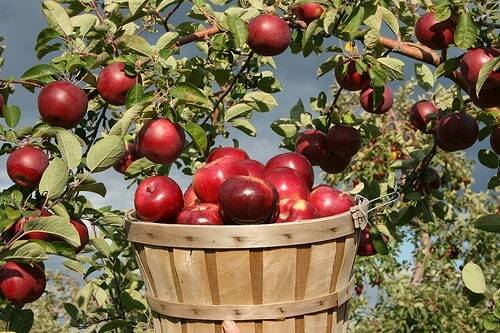 Apples: Okay, so technically the apple wasn’t invented in Massachusetts, but the first Apple trees in the US were planted in the state, at least as far as recorded history is concerned! You’ve heard of the story of Johnny Appleseed, right? Well that’s based on a real man, named Johnny Chapman. Chapman was born in Massachusetts. He set out on foot to spread his apple seeds over 100,000 miles throughout the Midwest. Thanks to this Massachusetts resident- and the Pilgrims who planted the first seeds- we can all enjoy apple pie! Chocolate Chip Cookies: Love chocolate chip cookies? Well, you can thank Massachusetts for those as well! The brilliant Ruth Wakefield created the cookie at-where else- Toll House near Whitman Massachusetts. She made a fantastic deal with Andrew Nestle. He could use her recipe on his chocolate bars as long as he provided her with free chocolate for her business. I’m not sure who got the better end of the deal there. I think they both made out pretty well. We all made out too! Can you imagine a childhood without chocolate chip cookies? Boston Cream Donuts- It is so hard to decide which of the foods invented in Massachusetts is my favorite, but if forced to choose, I’d have to go with Boston Cream Donuts. The delicious fried dough filled with smooth, dreamy cream and topped with chocolate frosting has to be one of the best dessert inventions ever! It’s like a miniature version of the Boston Cream Pie, which also happens to be the official dessert of Massachusetts. 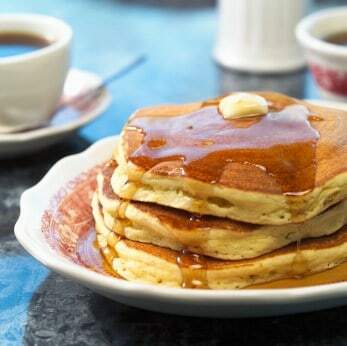 World’s Largest Pancake Breakfast– While pancakes weren’t invented in Massachusetts, Springfield Massachusetts is still the best place to enjoy a pancake breakfast! This event began as a way to celebrate the United States’ Bicentennial and continued years later to celebrate the city’s 350th birthday. For many years, it was also part of a bit of friendly competition between Springfield and Battle Creek, Michigan (which proclaimed itself the Cereal Capital). Now, the focus is just on serving delicious pancakes and allowing members of the community a fun chance to get to know each other. Dosants: A new craze is sweeping New York City, but it didn’t originate in the Big Apple! Dosants- or Cronuts as some call them- were actually created at the Sturbridge Baking Company in Massachusetts by Chef Alina Eisenhauer. This delicious pastry is a cross between a doughnut and a croissant, and it’s pure culinary delight! Eisenhauer now runs Sweet, a famous bakery in Worcester, MA. Be sure to stop by and pick up a few goodies on your trip to Massachusetts! Eat an extra one for us! Whether your tastes lean towards a hearty chowder or the sweeter side of culinary delights, your taste buds will love you if you take them on a trip to Massachusetts! Learn more about the amazing food in Massachusetts by visiting MassVacation.com! Photo Credits: Donut- Flickr, Pancakes and Apples: Massachusetts Office of Travel & Tourism. 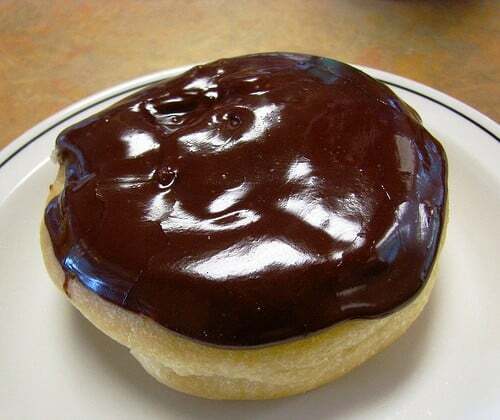 Mmmmmm….I love Boston Creme Donuts! Thank you Massachusetts! Ok, now I’m feeling hungry after reading this post! The boston cream donuts look AMAZING! I’ve never been to Boston but I know that when we do, these are first on my list! i live on cape cod and i dont think i know anyone here who says chowda. Boston Creme Donuts are my husband’s favorite! I have been to Massachusetts several times because Vermont is so close. looks delicious! I have never been there before – the food looks good! What a fun post and thank you Massachusetts. I never knew Chocolate Chip cookies started in Massachusetts! I’ve never heard of a dosants before, I’m going to have to check those out for myself!